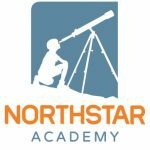 Northstar Career Academy offers career/technical education courses including: Business Marketing and Technology, Materials Handling, Hospitality, Construction & Maintenance, and Veterinary Assisting. The cornerstone of our approach is differentiated instruction in classroom skills with on- the-job experiences. Weekly job shadowing and/or internship opportunities are embedded in each course. Students have the opportunity to earn industry credentials. Students graduate ready to face the demands of the workplace with work experience, a local network of professional contacts, and the self- advocacy skills necessary to obtain employment. Extra Curricular: In order to provide a whole school experience, Northstar offers a variety of extracurricular activities to its students including sports, pep squad, talent shows, art shows, chorus, yearbook, cardio & art clubs, dances and prom. Seniors are recognized at Homecoming, Baccalaureate and graduation each year. Our annual homecoming event is an opportunity for students, alumni, parents, faculty and staff to celebrate their Northstar experience. Discovering Abilities through Art: Art is especially important for our students who struggle with verbal and written forms of communication; it provides them another avenue in which to interact with others in the school community. Through art our students learn to use their voice, materials, and tools just as artists would. Students learn to work in different mediums and to freely express themselves, and to represent their ideas and thinking. The performing arts, drawing, other visual thinking techniques, and music are vital tools that assist our students learning giving them a voice. Our community partners Art 180 and SPARC help drive this mission.